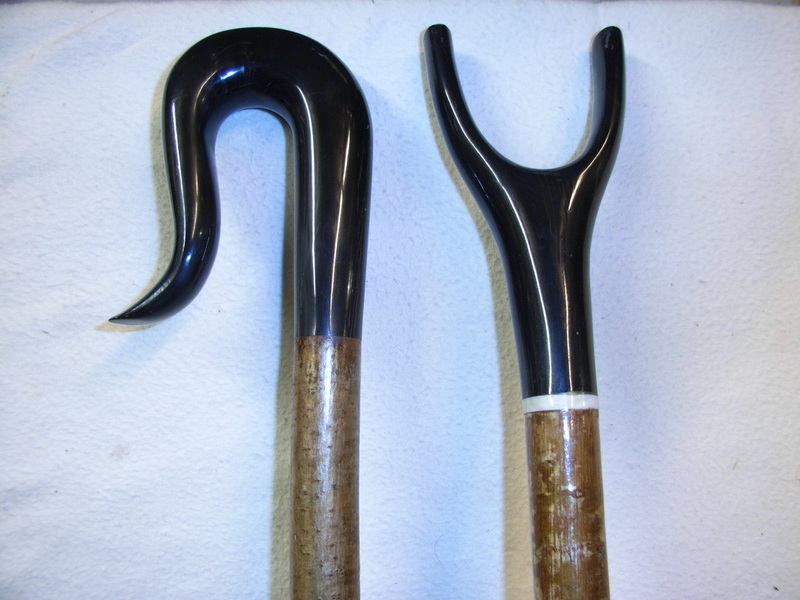 If you require a special style or type of stick please contact me. I can make most types and styles. replicate pets. A few examples are shown below. Please allow sufficient time if you require a special stick. 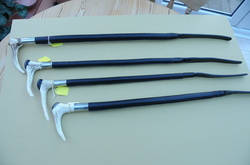 The small Crosier shown in the lower picture is 60" tall​ it is made from buffalo horn. Larger crooks can be made if required. 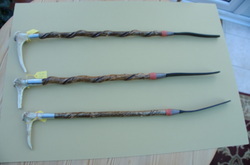 Riding crops with twisted hazel shanks. The leather keeps are dark brown. The collars are nickle. The handles are antler.